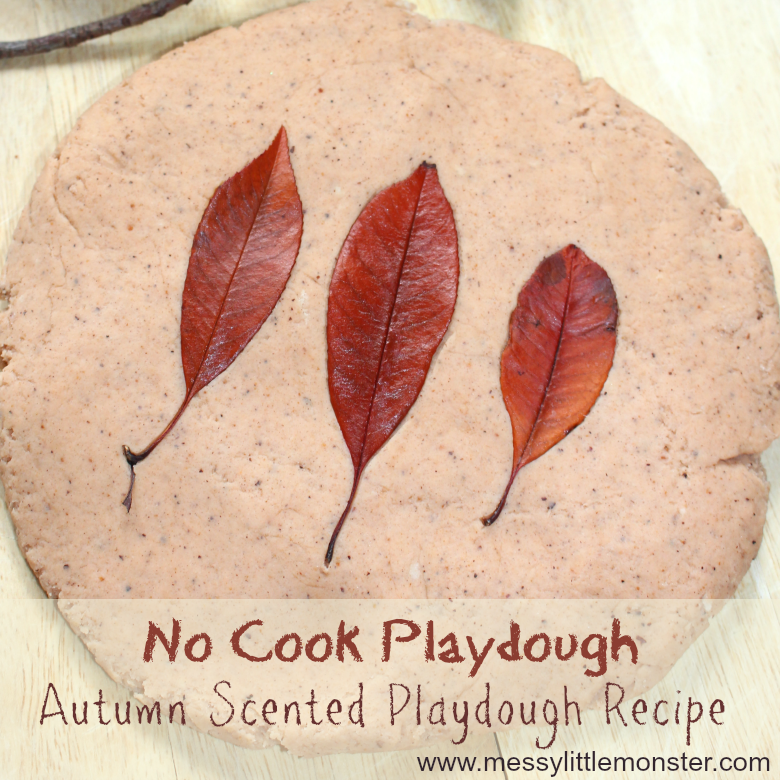 Follow our easy no cook playdough recipe to make the most amazing smelling autumn playdough! 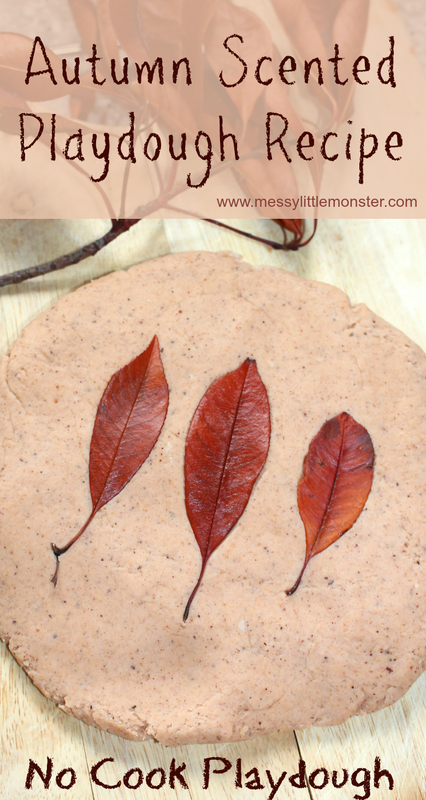 If you are looking for autumn activities for toddlers and preschoolers this easy playdough recipe would be perfect to make and play with! 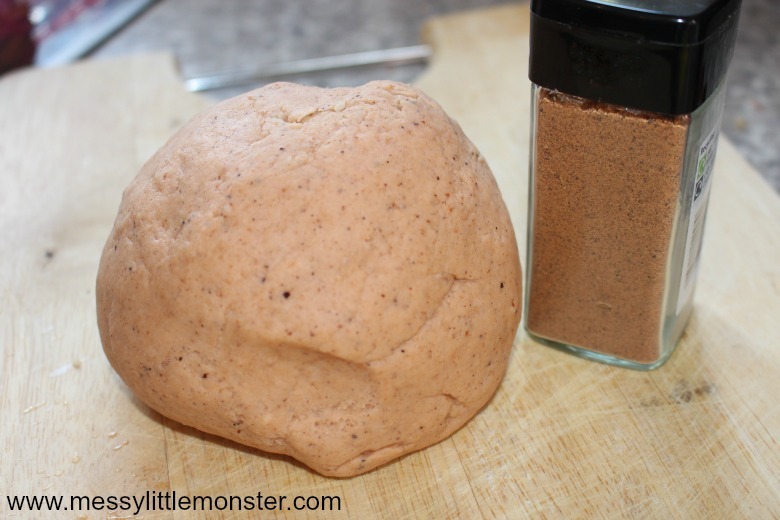 No cook playdough can be made in minutes and the spices added to this recipe make this scented playdough spot on for autumn. Add a few leaves, some pine cones and some leaf cookie cutters and the kids will be entertained for hours! We have been enjoying trying out lots of easy playdough recipes lately. As well as making this easy no cook playdough recipe why not have a go at making some bright red apple scented playdough, some rainbow playdough or for younger toddlers who are still putting things in their mouths some taste safe playdough. Below you will find step by step instructions for our no cook playdough recipe. 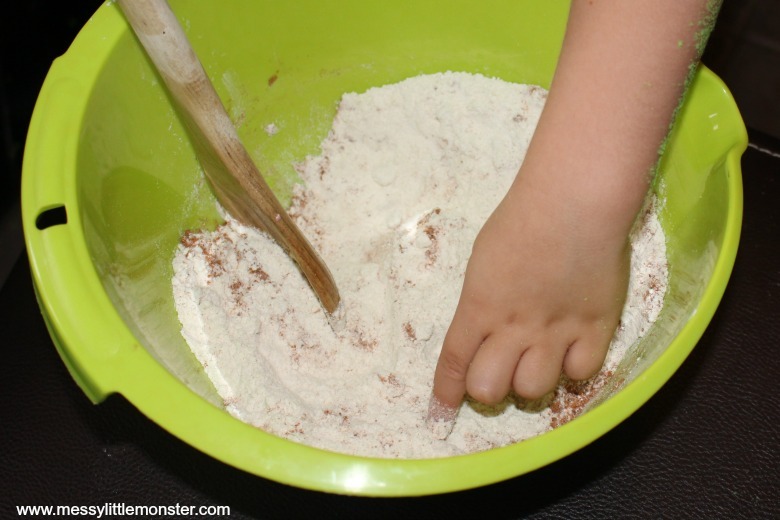 This is such an easy playdough recipe to make as you don't need to cook the playdough over a hob or in the microwave, instead you can mix the playdough together using boiling water. The no cook playdough recipe that we have used below could actually be used to make any themed playdough. We added spices to create some autumn scented playdough but you could easily add herbs, dried flowers, food colouring or glitter to fit in with your theme. 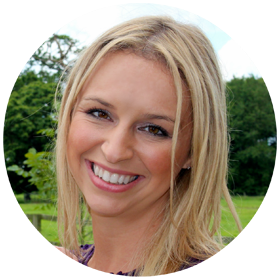 I have included amazon affilate links below. As an Amazon Associate if you use the links I will earn from qualifying purchases at no extra cost to you. thank you for supporting our work. We used these leaf cookie cutters to make leaf shapes out of our sutumn playdough. Before you start making your no cook playdough I would suggest getting all your supplies ready. You will need all the ingredients listed above as well as a large bowl, mixing spoon and cups and spoons for measuring with. 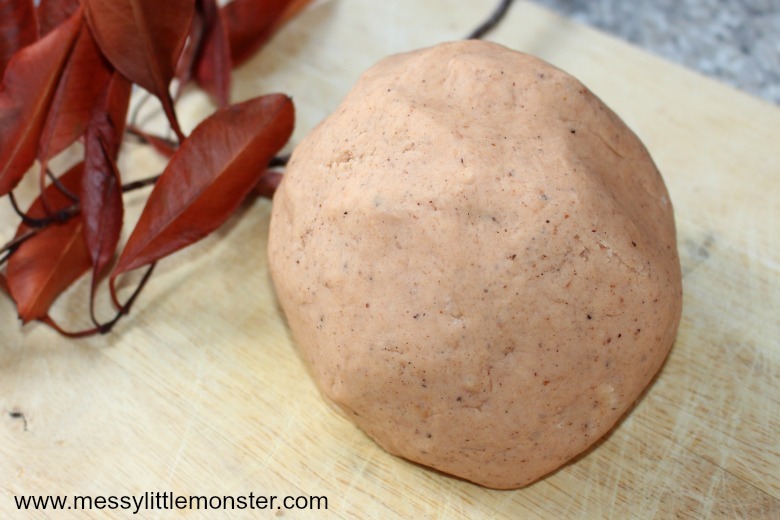 To make this autumn scented playdough you need to start by adding all the dry ingredients to your bowl. Measure the correct amount of flour, cream of tartar and salt to the bowl along with your nutmeg (or any other chosen spices) and give it a mix. Add the wet ingredients into the bowl and mix them together with the dry ingredients. To get a good even colour I would suggest adding the food colouring to the hot water before it is added to the bowl. Add the hot water slowly until you reach the desired consistency, you may not need all of it. If for any reson the consistency of the playdough seems too wet add more flour, if it is too dry add more water. Mix the ingredients together well. The playdough will be warm to the touch for a while, but it is important to knead it well. Once you are happy with the consistency of the playdough it's time to play! 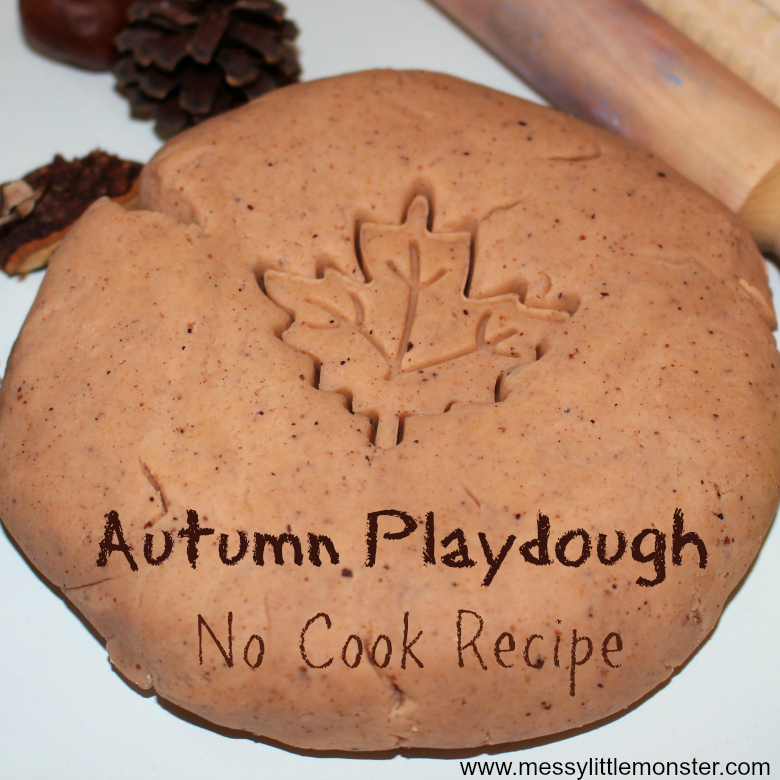 Now you have made your autumn scented playdough using this easy no cook playdough recipe it's time to have fun playing with your playdough. 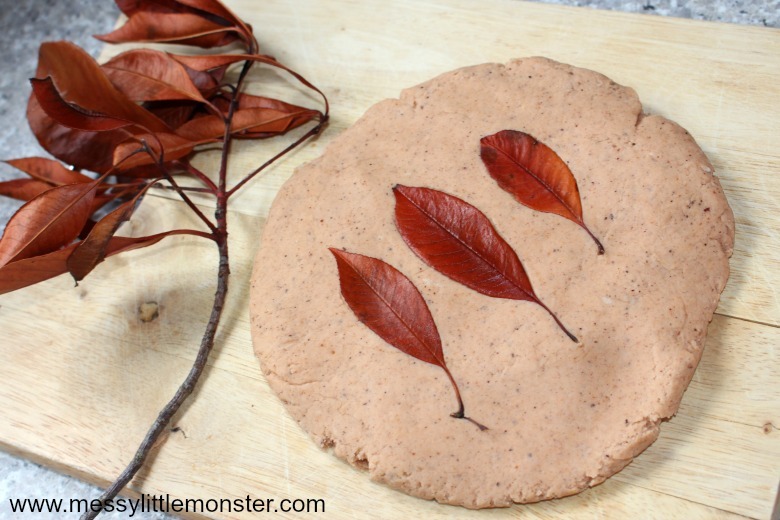 Toddlers and preschoolers will love making autumn leaves from the playdough. 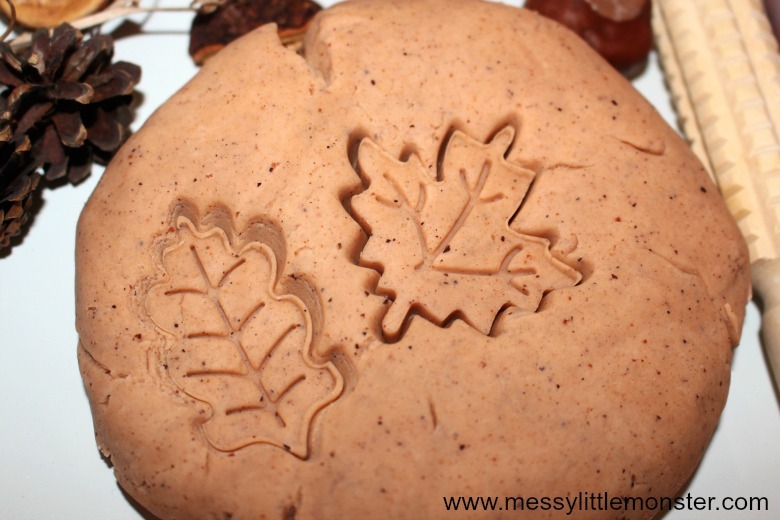 We found some lovely leaf cookie cutters that are perfect for this activity. This autumn scented playdough is really soft and easy to use. 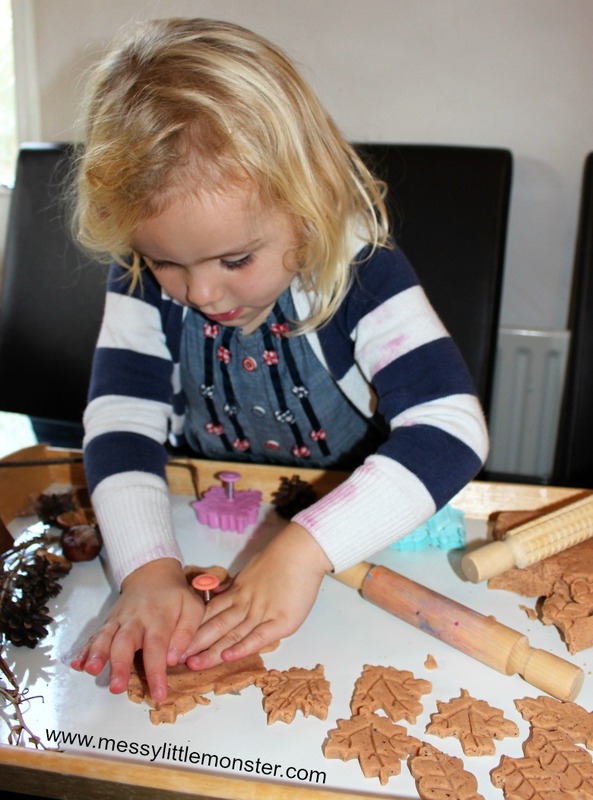 Daisy (aged 4) has loved smelling her new playdough and using it to create different shaped leaves. Adding pieces of real nature to the autumn playdough to make patterns and explore textures is also a lot of fun. 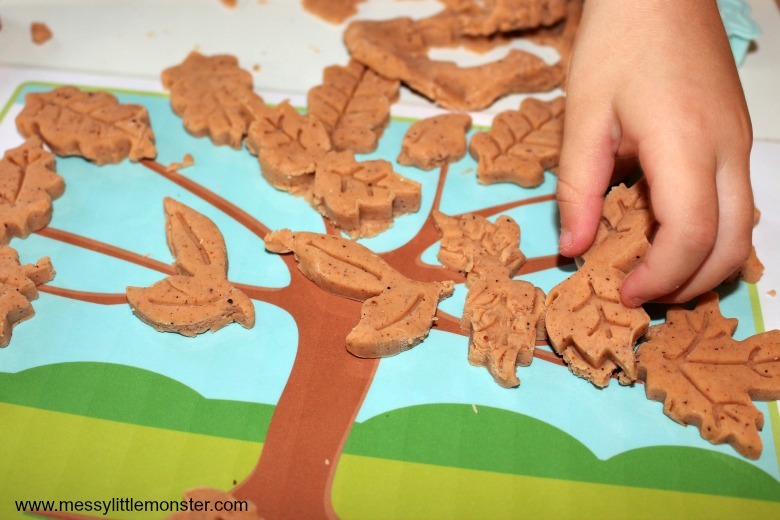 You could even create a playdough woodland or jungle! Once you have finished with your no cook playdough store it away in an airtight container or a ziplock bag and it will last ages. 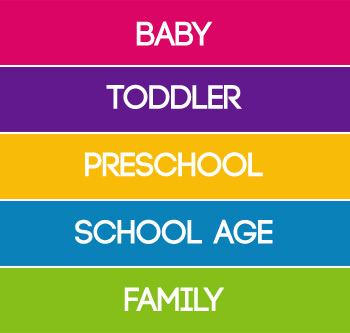 We hope that you have fun making and playing with your autumn scented playdough! 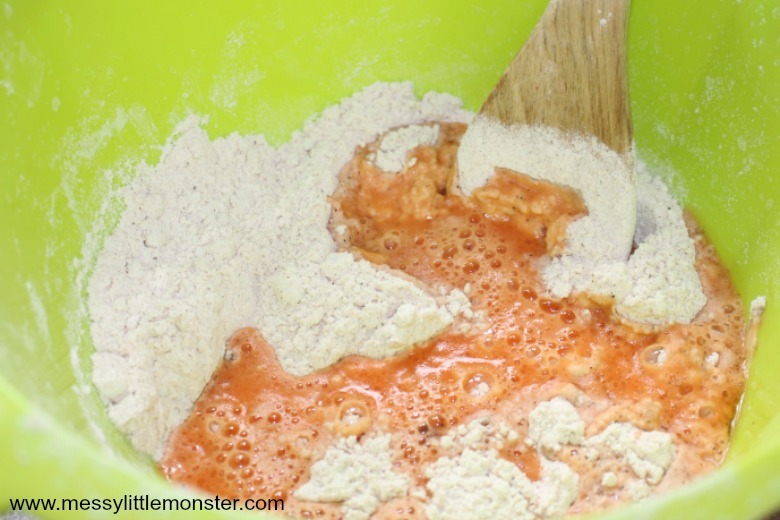 We love this easy no cook playdough recipe and with the added spices it is so perfect for anyone looking for autumn activities for preschoolers or toddlers. Enjoy!